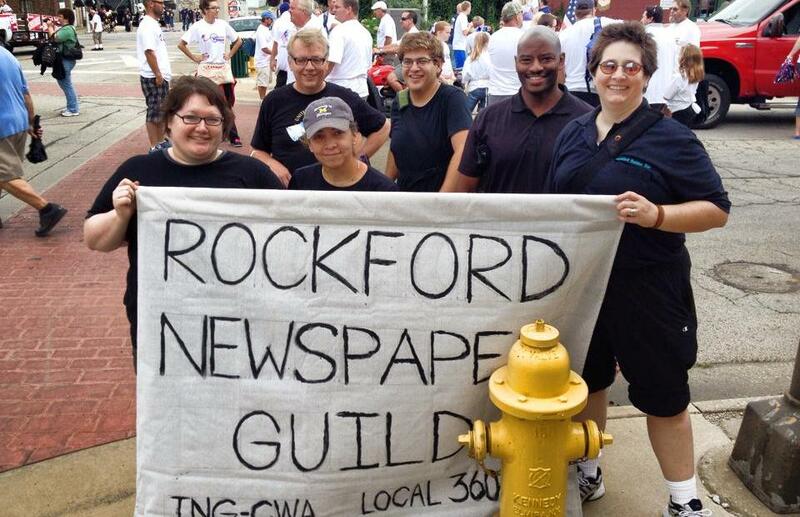 The United Media Guild served as Grand Marshal at the Springfield Labor Day parade. 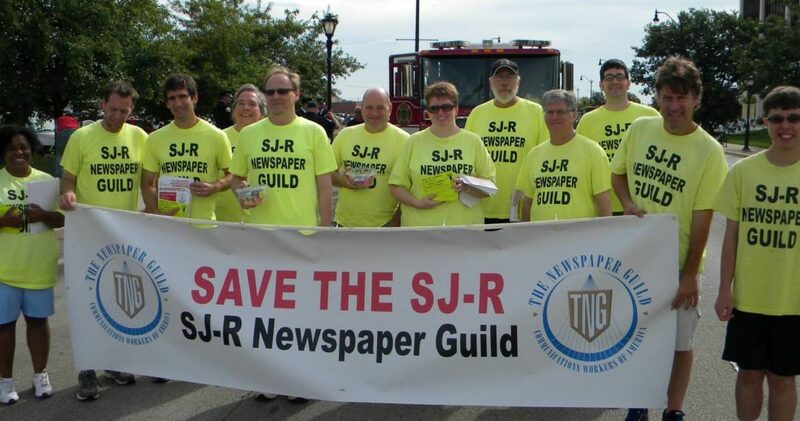 Members of our Springfield unit marched with their banner and raised public awareness about their fight for a first contract at the State Journal-Register. Our unit in Rockford marched in their parade as well with a nifty homemade banner. Way to go Paula Buckner! Community members are supporting the effort of our members at every turn. They understand the importance of maintaining a quality newspaper in the state capital. 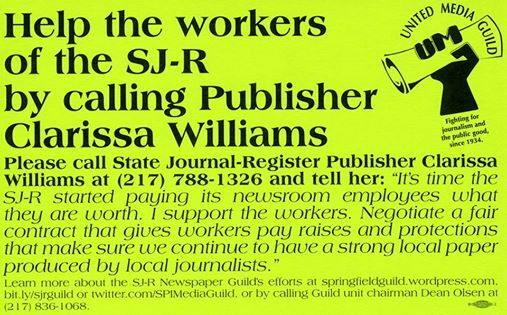 The “Save the SJ-R” campaign is about more than getting overdue raises for long-suffering journalists. This campaign calls on GateHouse Media and its parent company, New Media Investment Group, to commit the resources needed to produce great products on all of its platforms. The State Journal-Register newsroom has been slashed to a fraction of its former size on GateHouse’s watch, reducing its ability to cover the community well. The same story is true in Rockford. Like the Journal-Register, the Register Star outsourced its copy desk and slashed the number of reporters and photographers. The Register Star is taking the cutting to a new level by demanding the right to eliminate the photo staff and use only free-lancers. These newspapers are profitable. GateHouse is free from bankruptcy and its parent company, New Media, is generating positive cash flow. This company promotes its newspapers as “trusted news sources” in its community — but it won’t foster an atmosphere that encourages journalists to stick around, build contacts and provide in-depth reporting on critical issues. Springfield and Rockford deserve better. Our members get that message every time they speak to public groups about this scenario. And they heard it loud and clear at their parades.